Our VIP PRO account level is the absolute best CMS hosting service available in our industry. VIP PRO clients have the confidence and comfort in knowing their business is supported and protected 24/7. Enjoy VIP Direct Phone Support! 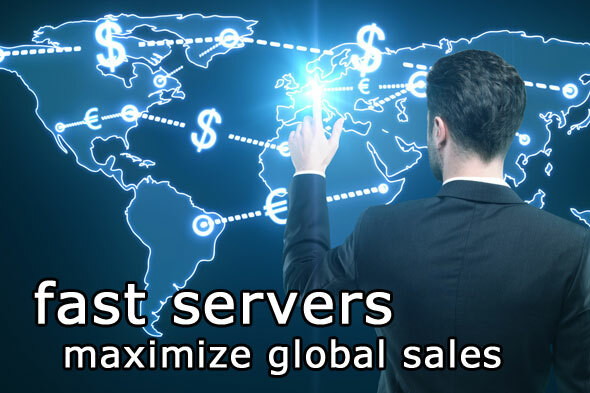 Each VIP Pro site group has a minimum of 4 high capacity servers in worldwide, redundant locations. Guaranteed bandwidth; Supports large traffic bursts; HQ Video playback; and more! Limited clients per site group; privately owned servers; 30-days of data backups; daily full-site backups; dynamic multi-level security system. Our plans include free hosting on our high capacity private cloud network. You don't need a 3rd party server or hosting account! Converts any video file to many formats and clips. Simply upload a source video and add a title. Includes a seek-enabled HTML5 streaming video player. Contact our support team with your questions, ideas and project requests. Facebook, Skype and Email. Weekends too! Multi-point server and website protection. Blocks pass sharing, flooding, ghosting, and mass downloading. Data is backed up hourly and stored for 7 days. Content is backed up 4x a day to external servers. Hide your site from any country. IP-based blocking system. Choose multiple countries. Sign up for a 3rd party billing account and we'll install the scripts free of charge (1st biller). Easily customize the layout of your website with our Template tools and Styles manager. WYSIWYG editors, homepage slider, and color picker. Biller-compliant php-based Bootstrap template pre-installed. Now choose 1, 2 or 3-column layout! Earn passive income without new content by setting your site to Auto Rotate. Resizes photos, creates thumbnails and downloadable zip file. Allows in-browser photo sorting and export. Manage your content with a calendar-based scheduling tool for updates 5 years into the future. Easily add unlimited HTML pages to your site using a Bootstrap-enabled WYSIWYG editor. Crop, edit and manage all of the thumbnail art on your website from one easy-to-use admin page. Publish free or member's only blog posts. Display your blog inside the site template or white-labeled. Powerful reports system shows traffic stats, visitor activity, and member data. Manage your members in the admin area. Pre-installed login forms and security. No need for a 3rd party login or security script. Integrated secure visitor contact form with built-in easy-to-edit FAQ. Edit, crop and export photos and videos fast for tubes, free galleries and affiliate marketing. Add your own articles or auto import from RSS feeds. This feature is great for SEO and keyword marketing! One-step setup of Disqus comments on your pages. Add free or member's only banner ads to any page on your site. Easy to use banner manager. Send your traffic to multiple tours and optimize your conversion rate. Create white-label or templated episode-based tours. Build as many as you need! Join our Elite VIP PRO level and receive fast, friendly support anytime day or night. Easily submit your site to 40+ adult review sites and manage responses. Review sites provide the highest converting traffic. Easily convert PornCMS into a token-based pay-per-view site. Works with all major adult billers. 300 GB PRIVATE CLOUD SPACE, UNLIMITED DOWNLOAD BANDWIDTH, ONE HOSTED DOMAIN, DEDICATED TRANSCODER SERVER, HIGH QUALITY STREAMING VIDEO, DEDICATED BANDWIDTH FOR DOWNLOADS, 100% DAILY BACKUPS, UNLIMITED EMAIL, HTTPS CERTIFICATE, ALL CMS MODULES UNLOCKED! 1,000 GB PRIVATE CLOUD SPACE, UNLIMITED DOWNLOAD BANDWIDTH, ONE HOSTED DOMAIN, DEDICATED TRANSCODER SERVER, HIGH QUALITY STREAMING VIDEO, DEDICATED BANDWIDTH FOR DOWNLOADS, 100% DAILY BACKUPS, UNLIMITED EMAIL, HTTPS CERTIFICATE, ALL CMS MODULES UNLOCKED! 2,000 GB PRIVATE CLOUD SPACE, UNLIMITED DOWNLOAD BANDWIDTH, FIVE HOSTED DOMAINS, DEDICATED TRANSCODER SERVER, HIGH QUALITY STREAMING VIDEO, DEDICATED BANDWIDTH FOR DOWNLOADS, 100% DAILY BACKUPS, UNLIMITED EMAIL, HTTPS CERTIFICATE, ALL CMS MODULES UNLOCKED! 4,000 GB PRIVATE CLOUD SPACE, UNLIMITED DOWNLOAD BANDWIDTH, TEN HOSTED DOMAINS, DEDICATED TRANSCODER SERVER, HIGH QUALITY STREAMING VIDEO, DEDICATED BANDWIDTH FOR DOWNLOADS, 100% DAILY BACKUPS, UNLIMITED EMAIL, HTTPS CERTIFICATE, ALL CMS MODULES UNLOCKED! 7,000 GB PRIVATE CLOUD SPACE, UNLIMITED DOWNLOAD BANDWIDTH, UNLIMITED HOSTED DOMAINS, DEDICATED TRANSCODER SERVER, HIGH QUALITY STREAMING VIDEO, DEDICATED BANDWIDTH FOR DOWNLOADS, 100% DAILY BACKUPS, UNLIMITED EMAIL, HTTPS CERTIFICATE, ALL CMS MODULES UNLOCKED! ADD MORE SITES TO YOUR VIP PRO ACCOUNT! ONE-TIME FEE OF $99 PER DOMAIN. ADD-ON WEBSITES SHARE RESOURCES AND DISK SPACE LIMITS WITH PRIMARY VIP PRO ACCOUNT. FREE HTTPS SECURITY CERTIFICATE! Site Hosting - All sites are hosted on our Media Cloud network of servers. Basic, Plus and Annual plans are hosted in our massive shared cloud group. Basic Plans plans include 50GB of disk space and allow 1,000GB of downloads per month. Plus Hosted plans include 200Gb of disk space and allow 3,000GB of downloads per month. Annual Hosted plans include 130Gb of disk space and allow unlimited downloads per month. VIP PRO clients should review the VIP PRO page for plan details. Disk Space (storage) overages are calculated at $2US per GB. Bandwidth overages are calculated at $100US per 1,000GB of downloads. If you are reaching your plan limits, add an extension to save money! We will not blindside you with charges. You will be contacted if your storage quota or bandwidth limit is reached BEFORE you are billed. You can purchase a Disk Space extension by clicking here. Installation - Set up of single domain or subdomain plus any required billing account setup. Your site can optionally be installed on a development domain and then converted to your live domain for free. CMS Support - *Limited* free Email and/or Skype support is included with your license to help you understand the CMS and better use it to make a profit. PLUS & ANNUAL plans include 1-hour of support or 6 support tickets/emails per month; BASIC HOSTED plans include 20-minutes of support or 2 support tickets/emails per month; LIFETIME (SELF-HOSTED) License purchase includes 1-hour of support or 6 support tickets/emails per month during the 3 months after installation. Additional support requires a $30 per ticket fee or you can buy an UNLIMITED SUPPORT plan for $25/month per domain (details). System-side bug/error discovery & correction is free of charge. Live Streaming Webcams - A third-party broadcasting account is required to broadcast webcam video. Broadcasting fees are additional to monthly CMS license fees and billed to clients monthly. Contact support by clicking here if you need help adding a webcam room to your site. Upgrades & Customization - All official module upgrades are installed and available free of charge to HOSTED domains. All PornCMS hosting plans include a free Template Customization module that allows clients to customize the front-end of their site. Any other back-end and front-end customizations will be billed at our Programming rate. Refund Policy - Refund requests will be accepted within 30-days of payment/purchase date. BASIC & PLUS accounts are entitled to a 100% refund if request is received within 30-days of purchase date AND the website has not been installed. Refunds after website installation will be pro-rated MINUS any support tickets or email/chat support. Support responses will be subtracted from the refund amount at $30 per incident. If you waste our time, you aren't eligible for a full refund. No refunds will be issued for ANNUAL, VIP PRO or SELF-HOSTED accounts after installation! Chargebacks - Chargebacks are not acceptable under any circumstances and will be prosecuted under US/EU fraud laws. A chargeback will also prevent you from ever purchasing from our billing companies, as they will put you on a blacklist. If you are unhappy with our software, CONTACT US for a refund. We are happy to work with you. Support Fees - Most support issues are free of charge. This includes help using the CMS, billing setup, FTP setups, or system-side errors. We reserve the right to charge a $30 support fee per incident for extensive support, emergency support or customer generated errors. If you crash your site, or delete your data, we will likely charge a support fee. FTP Access - All PornCMS hosting plans include FTP access to the CMS upload directory. Clients should not host any files in that directory other than content files intended to be added to PornCMS. We do NOT offer this FTP area for promotional pages & content or hosting non-PornCMS pages. This is junk traffic that will hurt the PR of your site and our network. We recommend getting an affordable hosting account at HostGator for promotional content. They offer unlimited bandwidth with their accounts. License Fee Payment - All prices are in U.S. Dollars. Online orders checkout page is secured by Comodo. Check certificate authenticity on checkout page. Late payments are charged a pro-rated fee per day. License payments not received after 48 hours of the due date will result in suspension of the account. There is a $30 fee to re-activate a suspended account. Account files are deleted 7 days after suspension or closure. Legal Disclaimer - PornCMS licenses give you the right to use our software to manage your website. It does not in any way transfer ownership of our software to any third-party or customer. PornCMS is not open source software and we do not provide the source code for our system. PornCMS is wholly owned and operated by PKS Consulting. Products and prices listed here are subject to change at any time. PKS Consulting is not liable for any typographical errors made on this website. For complete and accurate product and price information, please CONTACT US. PKS Consulting reserves the right to refuse service, and/or cancel orders in our discretion, including, without limitation, if we believe that a user's conduct violates applicable law or is harmful to the interests of our software business, our affiliates, suppliers or users.